Preventive Dentistry • Comments Off on OraVerse To The Rescue! Sherwood Park Dental is excited to offer our patients OraVerse. Sherwood Park Dental is excited about OraVerse! Fillings, crowns and root canals require a local anesthetic which may freeze the lips, cheeks and tongue. The numbing effect can last 2 or more hours following dental work making it difficult to smile, talk, drink or eat soup from a spoon. If you are interested in returning to normal sensation (and being able to eat soup from a spoon!) in about half the time, you should be excited about OraVerse, too! OraVerse (Phentolamine Mesylate) is made by Septadont. This amazing product has been around in the United States for a while, but it was just recently approved for use in Canada. It has been highly praised by dentists and patients alike and was chosen as one of the Top 100 Products for 2009 by Dentistry Today. OraVerse is the first and only local anesthesia reversal agent. When injected immediately following dental work, it speeds up the reversal of dental freezing in the lip, cheek and tongue. On average, it takes 2-5 hours for dental freezing to wear off completely. We have found that OraVerse brings our patients back to normal sensation in about half the time. In clinical trials, the time to return to normal sensation in the upper lip took 50 minutes with an OraVerse injection versus 133 minutes without. In the lower lip the time to return to normal sensation took 70 minutes with an OraVerse injection versus 155 minutes without. 2. Who can use OraVerse? – Hygiene patients who require deep scaling – Their whole mouth can be cleaned without their entire mandible being frozen on both sides! 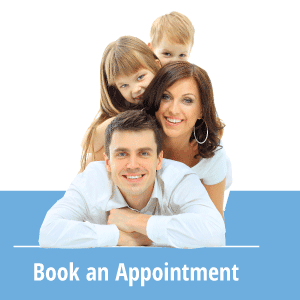 – Dentists – Sometimes a dentist must freeze one quadrant on the lower for one tooth needing dental work and the opposite quadrant for a filling as well. For cavities on the lower jaw we usually do only one quadrant per appointment so the whole lower jaw isn’t numb. Thanks to OraVerse, we can work on more than one quadrant in the same appointment. 3. Are there any side-effects with the use of OraVerse? The most common complaint with OraVerse is soreness where it was injected. Phentolamine Mesylate is in the class of drugs that can cause low blood pressure, rapid heartbeat and irregular heart rhythms. The occurrence of low blood pressure, rapid heartbeat and irregular heart rhythms are not common with OraVerse; however, it is best to tell your dentist if you have a history of heart of cardiovascular disease. If you are interested in and excited about OraVerse, call Sherwood Dental at (780) 464-4166 today. Be sure to ask about OraVerse before your next appointment for restorative or periodontal maintenance dental work. You’ll be happy to know that OraVerse is offered free of charge at our office. » Preventive Dentistry » OraVerse To The Rescue!